Where can a guy get some good instrumental post-metal? The last Red Sparowes album was slightly disappointing, mainly because the first one was so good. Pelican is okay but spotty. Mono and Don Cab have different styles going on. Where can you get something new, chunky, and technical without those grating vocals? Well, I'll give you a hint, it starts with an "R," and ends in "ussian Circles." This is a relatively new band (their first EP was in 2004) from Chicago with, I guess, some pedigree due to their previous bands. They play dynamic, well-planned instrumental metal, much like Red Sparowes and Pelican, but with their own flavor. One bass, one guitar, and a drummer are all it takes to create their very full sound, but they also emphasize instruments, whether by solo or careful production. They are also a fan of the soft-loud-soft thing, though not as all-out soft as Mono and Red Sparowes get at times. There is also more of a quick, steady beat, unlike the slumbering giant of Mono or mind-breaking dynamism of Don Cabellero. The album begins with some atmospherics and a mathy bass line broken by sibilant drums and chunky guitars - I was afraid they wouldn't differentiate themselves but they did shortly. I just had to have a little faith - the robotic guitar peeping in around 4:30 is an excellent example of using an effect sparingly and well. They're good at creating different sounds and combinations thereof - I found Pelican to be monotonous sometimes because their instruments were too well-defined, but here there are many different things to hear. The same is basically true for the other tracks - they're constantly changing, and usually the new thi ng is well-timed and sounds good, although there are a few sour spots. I haven't listened to the album enough to pick real favorites but there are no skipper tracks or really even parts that don't work for long enough that you notice. This is a truly solid album. So if you're jonesing for a little ear punishment, look no further. This is a keeper, worthy of being put on your rack next to Under the Pipal Tree and At The Soundless Dawn. Hope you enjoy it. 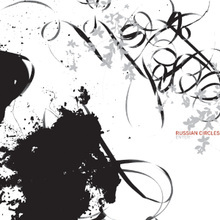 Here's "Carpe," by Russian Circles. Uh, that file took like 5 years to upload due to shady wi-fi, so if there are any glitches in it let me know and I'll replace it. Where there is life, there is hope. I feel strongly that I can make it. Pen can describe a vibrant spring, Pen can as the ancient, A pen to write down my soul of small language! You received a definitely beneficial webpage I have been right here reading for about an hour. I'm a newbie and your success is really much an inspiration for me. Such a surprising information to know. They're good at creating different sounds and combinations thereof - I found Pelican to be monotonous sometimes because their instruments were too well-defined, but here there are many different things to hear. Did you draw the mistletoe- or is it a decoration? I don't think that I could ever draw that free hand in icing. your blog is very cute ,i like it very much! it make me laughing,so i am very happy!i want to read more like this blog! I came to your article from another article and am really interested in this learning about this. I wanna say something,especially if I read a post that really grabs my attention. However, I won’t do it for the sake of doing it.mlb jerseyI just think that I really like in your article point of view. For carrying out this study, eighteen different family’s subjects were provided with eight to ten servings of fruits and vegetables per day. Most of the young boys had been for that reason passionate to read them and now have really been enjoying those things.